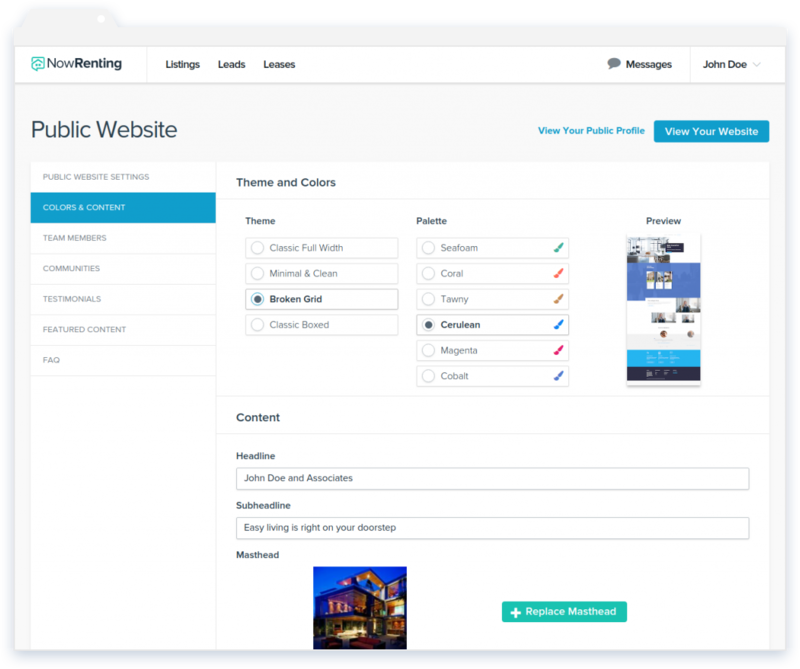 NowRenting empowers you to create a custom rental property website in just minutes–no web developer needed! What's So Great About Our Custom Rental Websites? With three beautiful, modern templates to choose between and six gorgeous color schemes, you're sure to create just the right look for your rental business website. Use our easy tool to upload photos of your rental property, type in your text and you'll have a brand new rental website up and running in minutes! Our simple, straightforward setup makes creating a rental website a breeze for landlords and leasing agents. Your property rental website is the public face of your business — project an air of competence and professionalism with our well-designed templates. Get quality tenants into your rentals with NowRenting’s website builder. Create a custom rental property website in minutes, without a web developer! Get started today.